Who's to blame for sediment choking Lake Pepin? Flanked by timbered bluffs flecked with bare rock outcroppings, the blue waters of Lake Pepin are visually stunning, even to long-time visitors. The 20-mile long wide spot in the Mississippi River is a traditional summer destination for tourists, and the spot where water-skiing was invented. But problems are brewing under the surface of Lake Pepin. When it rains on the farmlands of southern Minnesota, rivers wash soil and sand towards the Mississippi. When the sediment reaches the slow-moving waters of Lake Pepin, it settles to the bottom, just like too much sugar in unstirred coffee. 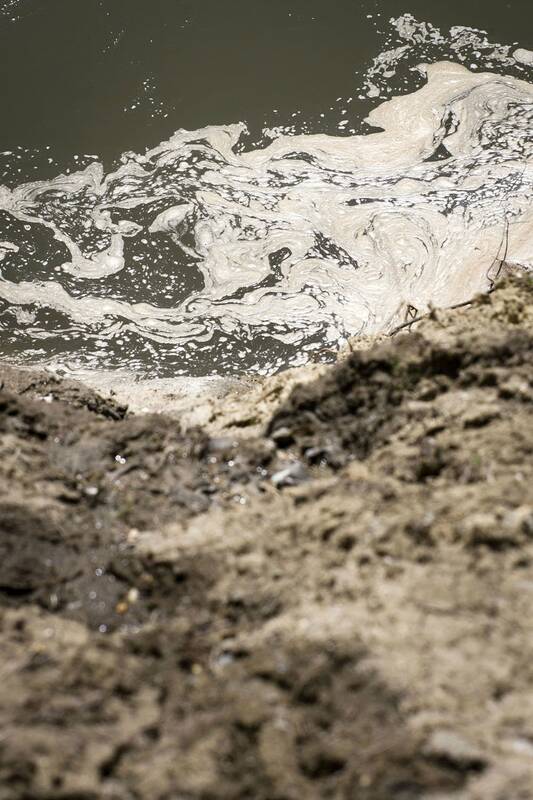 A new report from the Minnesota Pollution Control Agency essentially blames farmers for the growing sediment. Agency officials say agriculture has transformed the land so that more water flows into rivers, dramatically boosting riverbank erosion and sediment deposits in Lake Pepin. 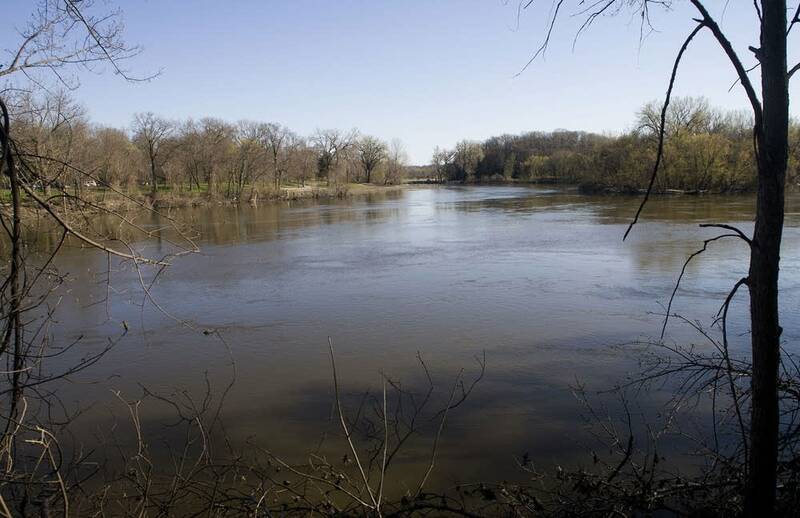 "At that rate the upper lake from Frontenac on upstream would fill in by the time this century is out," said Norman Senjem, the agency's basin coordinator for the Mississippi. "The whole lake would fill in within 300 years." That outlook has spurred the MPCA to draft a plan to reduce the Lake Pepin sediment. But some farmers and researchers say more rain, not farming, is to blame. Besides endangering Lake Pepin, the muddy Minnesota is also a problem for fish and other aquatic populations in the Minnesota River itself. A recent MPCA report said populations of insects, snails and mussels in the river continue to decline. It's easy see that the coffee-colored river carries a lot of dirt. But what's surprising is where the sediment originates. 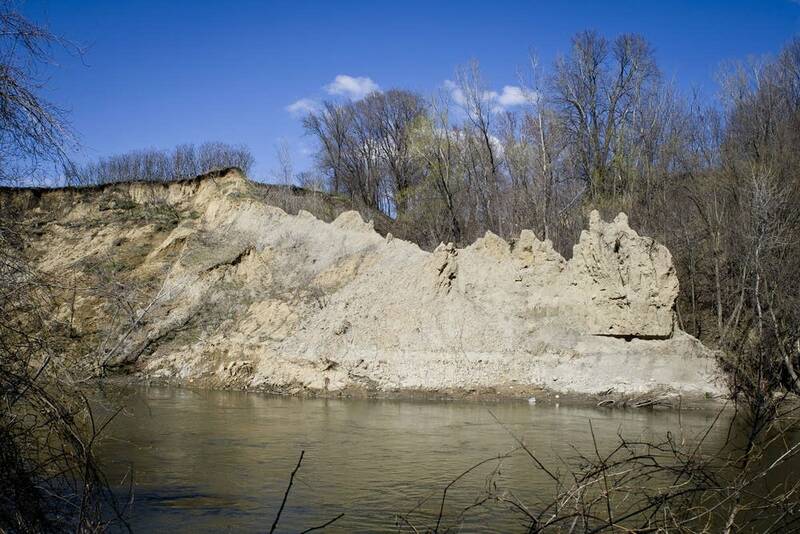 Although a third comes from farm runoff, the rest is soil washing out from bluffs, river banks and gullies. 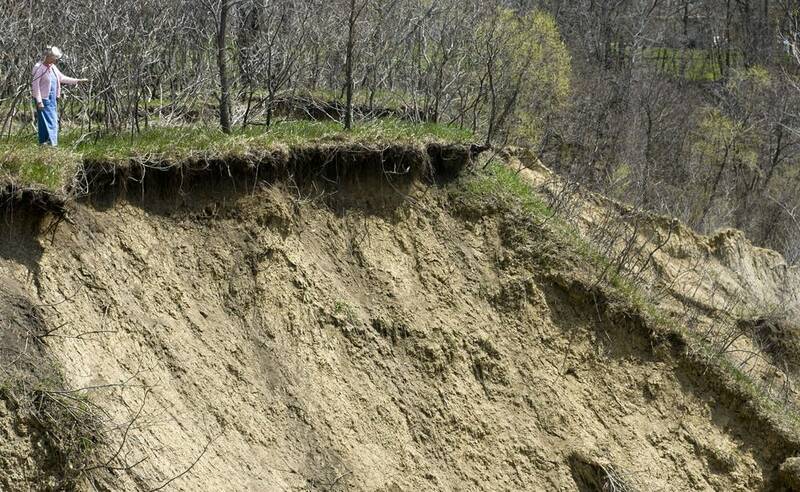 It's the sort of erosion Glen Wilder can spot in a sandy ravine behind his home near Mankato. A few days ago, a rainstorm soaked the area, washing away more of the ravine's walls. With each storm, the ravine becomes wider and deeper, and the pace is accelerating. The recent rain washed away an area of Wilder's backyard roughly 100 feet wide and 30 feet deep. The cascading sand toppled trees, and created more erosion trouble spots nearby. "You can't go but a couple hundred feet and there's another big washout," he said. Much of this soil will eventually reach the Le Sueur River, then the Blue Earth, and finally the Minnesota and Mississippi Rivers. The fact that most of the Lake Pepin sediment comes from ravine and stream bank erosion may seem like it takes farmers off the hook. But the MPCA study has an important twist which the agency says puts the onus squarely back on agriculture. It notes that ravines and stream banks are washing out at higher rates because more water flows through them. Agricultural drainage systems on thousands of square miles of farmland quickly route rainfall into streams. As a result, water-absorbing grass and wetlands have nearly disappeared. Because farmers have extensively planted soybeans, which need less water than other crops, more moisture runs into waterways. Senjem said farming practices have lead to measurable changes in the amount of water the Minnesota River carries. "[It's] virtually doubled at Jordan," he said. "And you have comparable increases in flow in many of the tributaries." Many farmers are skeptical of the MPCA's report. They're worried they'll have to pay for expensive erosion controls based on the study's findings. They maintain most of the higher river flows are caused by increased precipitation, not farming practices. A University of Minnesota soil scientist shares that belief. "Precip is the main driver," Satish Gupta, a professor in the university's department of soil, water and climate. 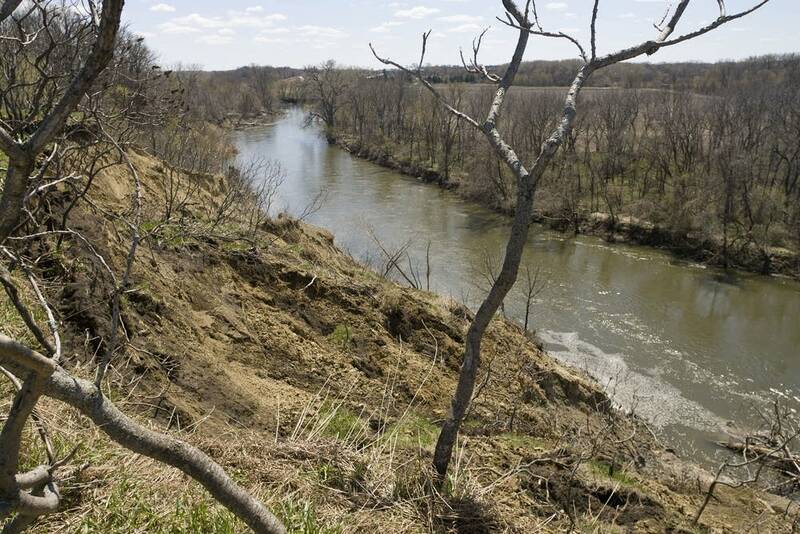 Gupta is standing on the bank of the Blue Earth River 15 miles from where it flows into the Minnesota. 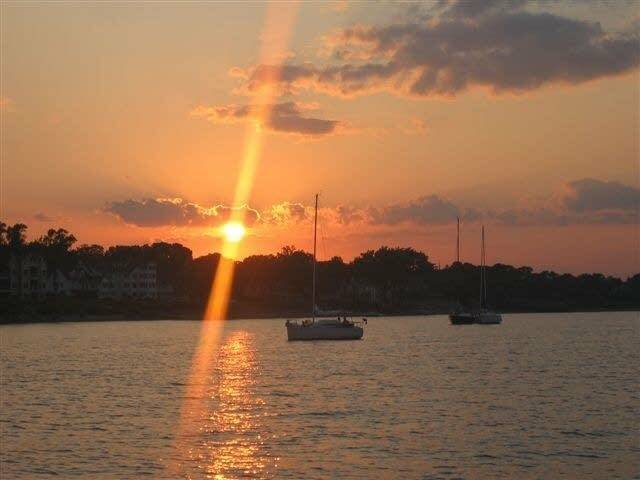 Across the water a sandy bluff rises 100 feet above the muddy river. Gupta said rainfall along the most erosion-prone rivers near Mankato has increased by at least 25 percent in recent decades. He said the erosive power of that extra rainfall, not farming techniques, is causing the increased sediment. 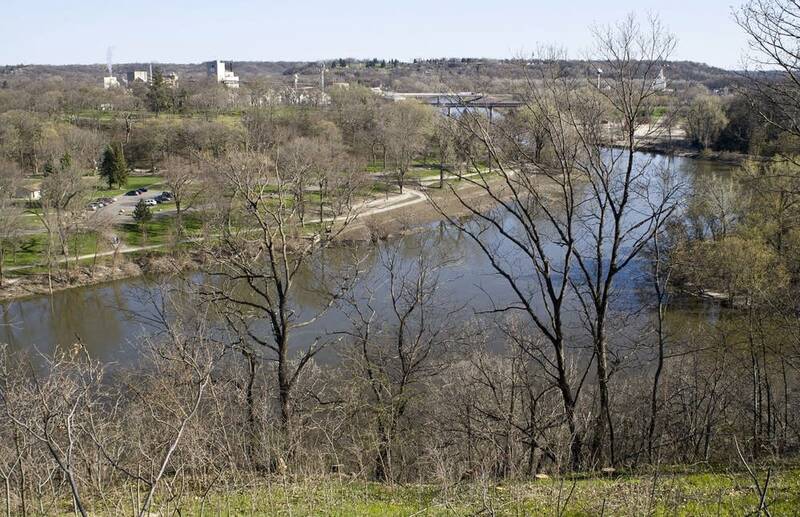 Efforts to control the Minnesota River, such as the flood walls at Mankato, and the dredging of the last few miles of the Mississippi also have made the river flow faster. "What we have done is we have changed the delivery system," Gupta said. "We have changed our delivery system by dredging the river, putting the levees in there." The sediment stays suspended in the river over longer distances, arriving at Lake Pepin in greater amounts. Gupta has taken a lot of flack from other scientists for his findings. But many farmers have latched on to his conclusions, citing them as proof that they're not to blame for most of the sediment. However, because agricultural groups have funded much of Gupta's research, critics of his work contend he has skewed his findings to lessen the blame on farmers, a charge he denies. "If I am saying something wrong, my peers are going to find it out," Gupta said. "You cannot hide these things. If I am biasing it, saying one way or the other, they're going to do experiments and they will say I'm an idiot." Gupta's work has been influential in the past. 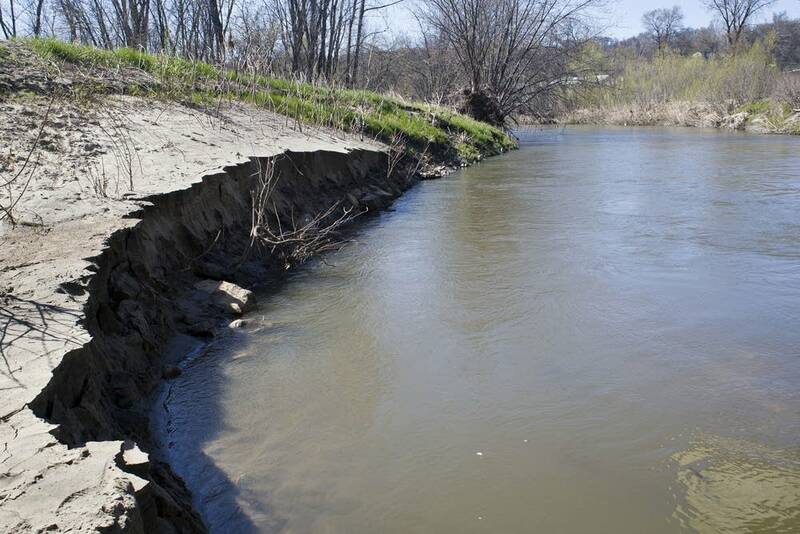 About 15 years ago, the U.S. Geological Survey estimated that 80 percent of Minnesota River sediment came from farm fields, and only 20 percent from stream banks, ravines and other sources. Gupta challenged that, saying most sediment came from ravines and stream banks, something the new MPCA study supports. Senjem, of the MPCA, said Gupta's theory that increased rainfall, not farming, is boosting sediment rates in Lake Pepin, is wrong. Senjem said the increase in precipitation is nowhere near enough to explain the huge growth in river flows and sediment deposits. He said the only explanation is that farmland is absorbing less precipitation. "The landscape has been altered so drastically that the response is much different today than it was in the past," Senjem said. The agency has one more finding to bolster its argument. 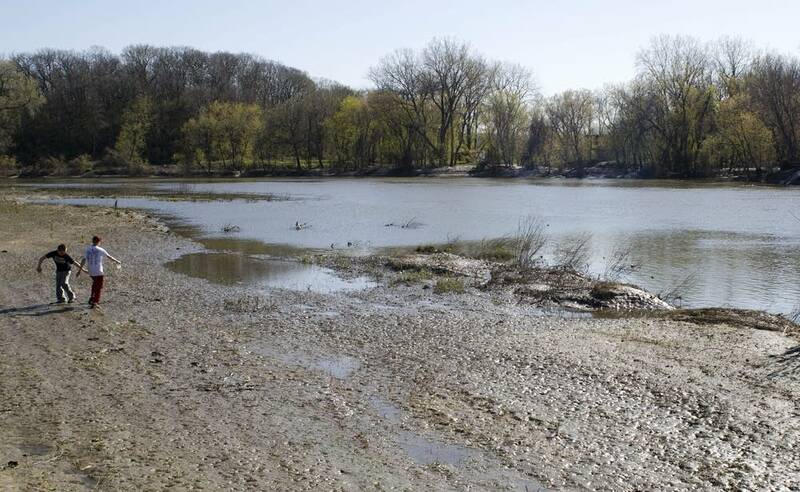 The most critical time for erosion is during spring downpours, but average springtime rains have basically held steady or even decreased since 1940, Senjem said. Still, spring river flows in some areas are way up, a pattern that points to farm country. "In the highly agricultural, high row crop watersheds, there's a much stronger trend towards a higher runoff ratio," Senjem said. The MPCA also dismisses Gupta's argument that levees and dredging force more sediment into Lake Pepin, saying research done for its draft report found those factors were negligible. The debate over sediment has high stakes for Wilder, whose family has owned crop fields for generations. But he has no doubt that modern agricultural practices play a big role in adding to Lake Pepin's sediment load. As Wilder he stares at his crumbling ravine, he said there must be a dozen more washouts like it along this one gully. He said it would cost a lot of money to stop the erosion. "We get an effect like we got here that we're looking at, it's almost unfixable in anybody's pocketbook," Wilder said. Wilder's in a position to know. He started his own company; Wilder Erosion Control. But even he erosion expert wonders how much can be done to slow the mountains of sediment moving toward Lake Pepin. 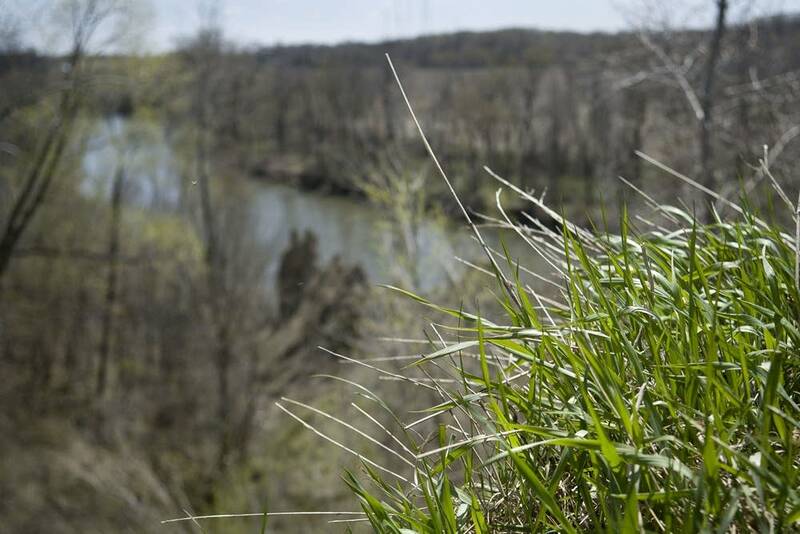 Read part one of this series, which explores how state officials have little power to compel changes that could save the lake.